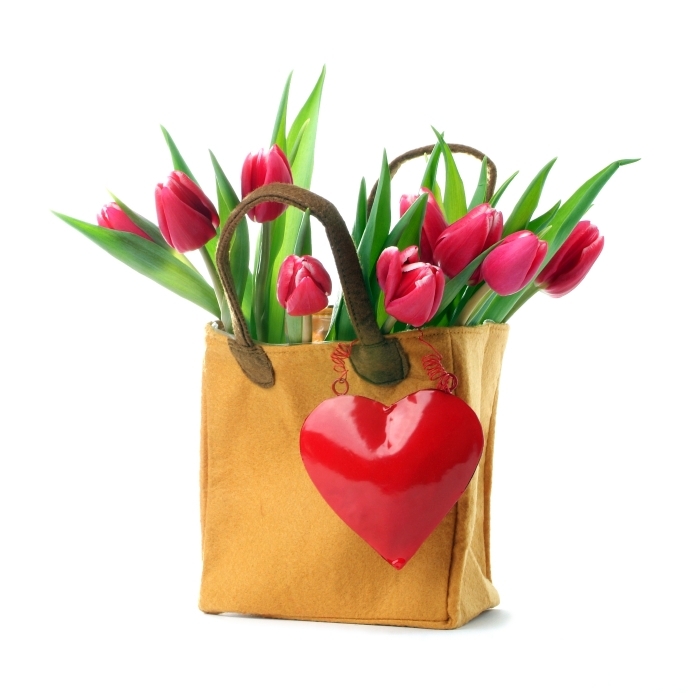 Hearts and Flowers: Make it a Green Valentine’s Day! Ah, the symbols of Valentine’s Day. Flowers lovingly chosen for your sweetheart, candles lit, sumptuous chocolates by the bedside. It’s “go” time! More than 200 million roses are produced for Valentine’s Day, most grown conventionally, which means with pesticides, and often with light energy from fossil fuels, not the sun. In the US alone, we spend more than $1.6 billion on Valentine chocolates, but nearly all of that chocolate comes from places that were once home to rainforests. Choose organic, local flowers. Select buds that are blooming where you live, and from florists that operate in your community. Look for those grown without pesticides so when your sweetheart takes a big inhale of their fragrance, she or he isn’t also breathing in a chemical designed to kill bugs. Look for Fair Trade, Organic Chocolate. Chocolates bearing this designation signify that your sweets were grown to support, not destroy the cultures and communities that produce chocolate. Organic chocolate is also free from chemicals and pesticides, which when you think about it, makes the sweet even sweeter. Look for Cards Made from Recycled Paper. Almost 200 million Valentine’s Day cards are bought each year. Look for those made from recycled paper and printed using sustainable methods and both the Earth and your sweetheart will feel the love. Choose Soy or Beeswax Candles. Everyone looks better by candlelight, right? But if you’re burning most candles, your bedroom is being infused with petroleum fumes, which is not exactly romantic. Soy and beeswax candles with lead-free wicks are free from petroleum-based ingredients. Think Outside the Box. Why not make your own Valentine’s Day tradition? Offer your beloved a bubble bath and massage, or a sensuous dinner, made with fresh, local ingredients. Or create your own Valentine’s Day card by hand, infusing it with your personal brand of love. « Say YES to Digital Dental X-Rays!